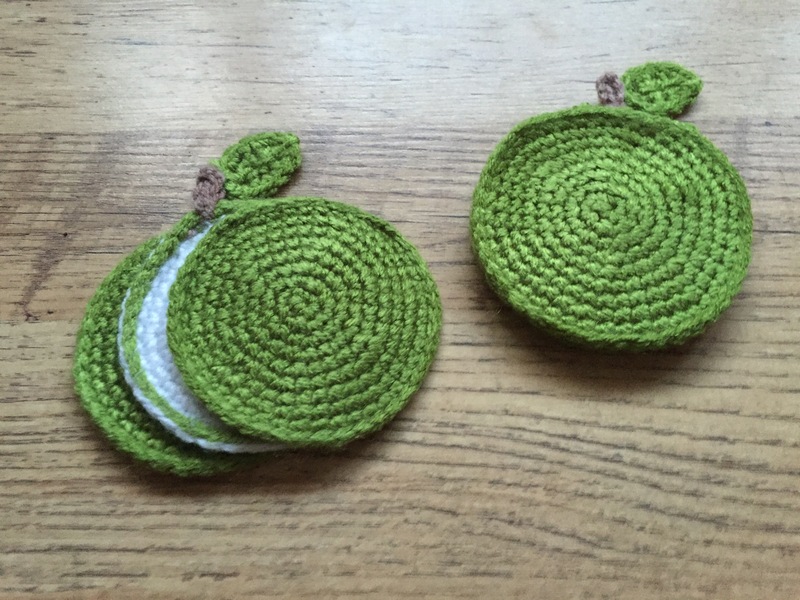 I had an idea to make some apple coasters a long time ago, way way back when I made some apple tags, but I had completely forgotten about this until recently when I came across some green wool in my stash which was the same colour as these previous tags. 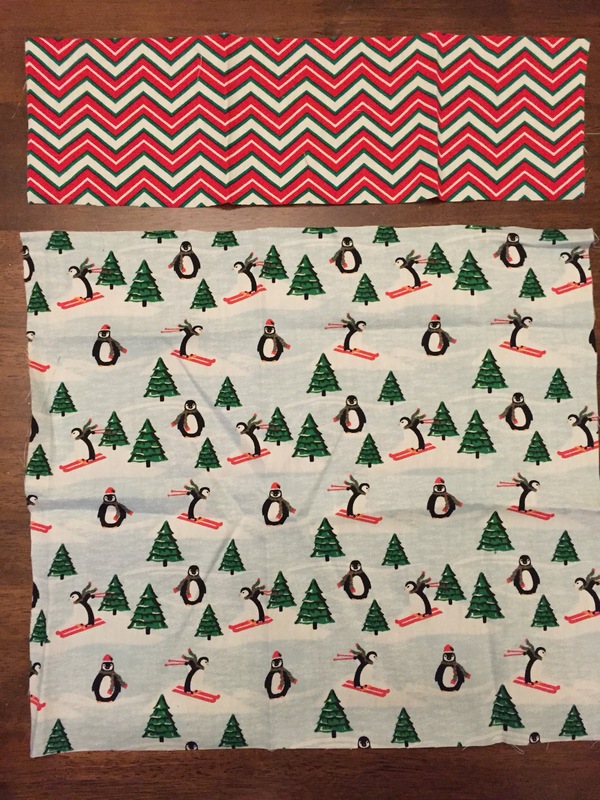 I wasn’t going to wait any longer to get some made in case they got forgotten about again so I got cracking and put a pattern for some together. I opted to just make three coasters to start, a front and back and a middle piece, but you could add in more middle pieces too if you wanted a few more coasters in the set. I opted to use green but you could use red if you prefer. Make a magic ring, ch1, 6sc into the ring. Round 10: slip stitch around again into the previous rows slip stitches. 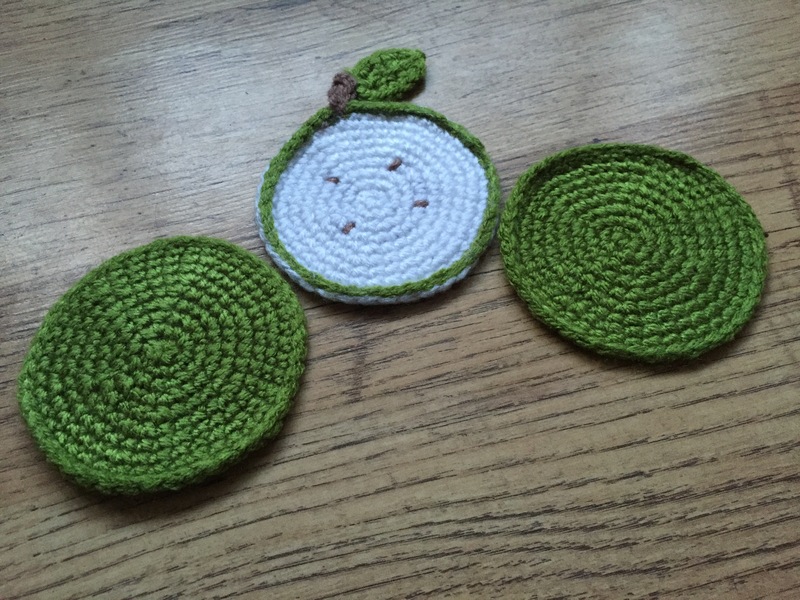 Insert the hook at the top of the apple into a row down from the last row of the apple, ch 4, slip stitch into the 2nd chain from the hook and the remaining chain stitches, slip stitch at the base. sc around the edge of the leaf. Fasten off leaving a long thread to sew a line down the centre of the leaf and to attach to the stem. 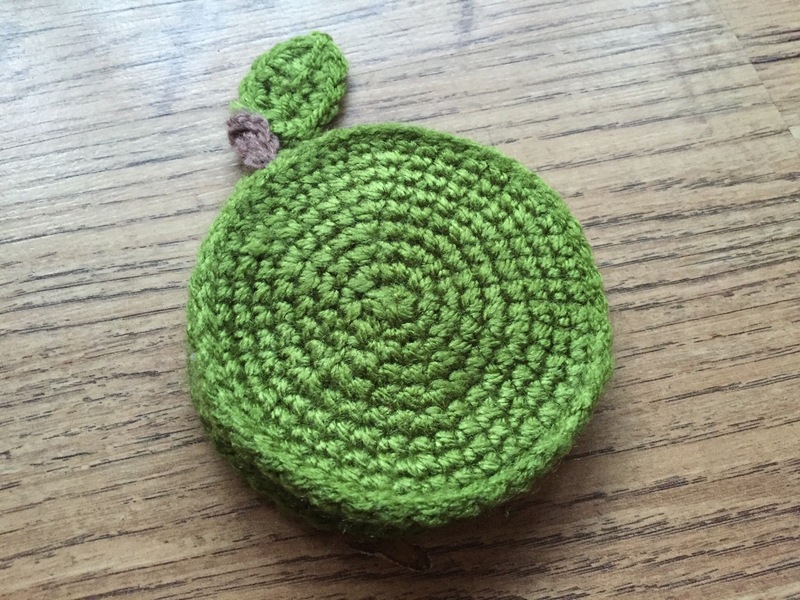 Using the brown wool sew on 4 little pips 4 rounds up from the middle of the apple. 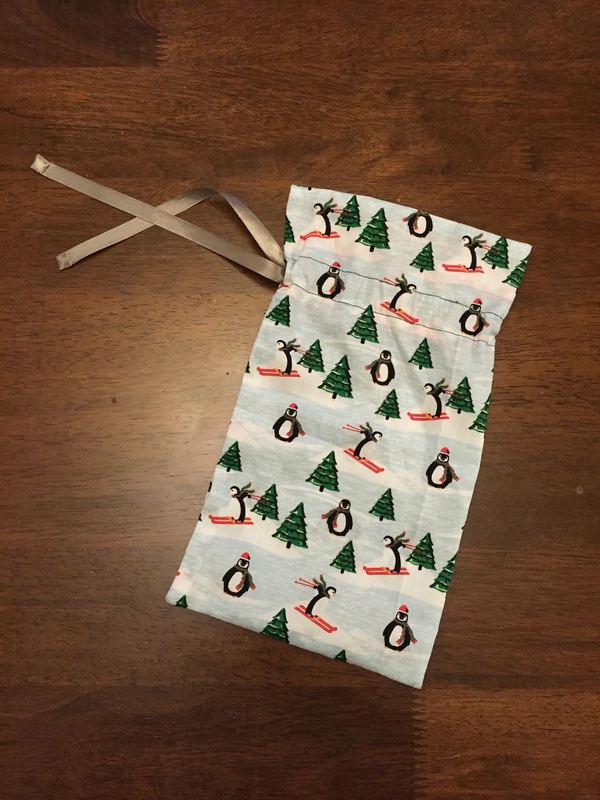 A drawstring bottle bag, a solution for me to put bottle gifts in this year rather than fighting with a piece of paper! I always have problems wrapping up bottles as gifts, although to be honest anything that isn’t a square box tends to give me problems! I can never get the paper to look right without it tearing a few times and rather than just buying a paper bottle bag I thought I would make one. 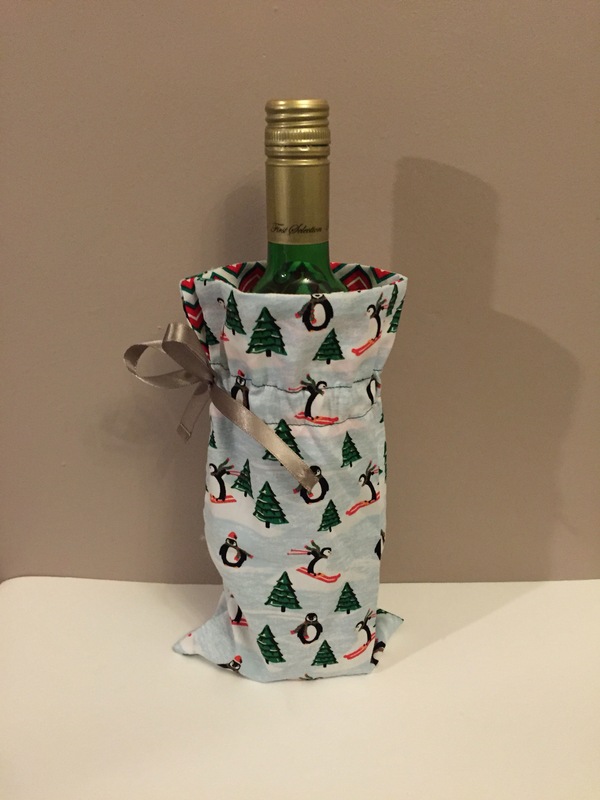 I wanted to make something a bit different to my previous crochet bottle holder that I made so I thought I would do a fabric one using some very cute Craft Cotton Company penguin fabric. I am really impressed with how this came out, I might do some smaller ones for some beer bottles I have as gift too – obviously I don’t have enough things I need to make in time for Christmas already! 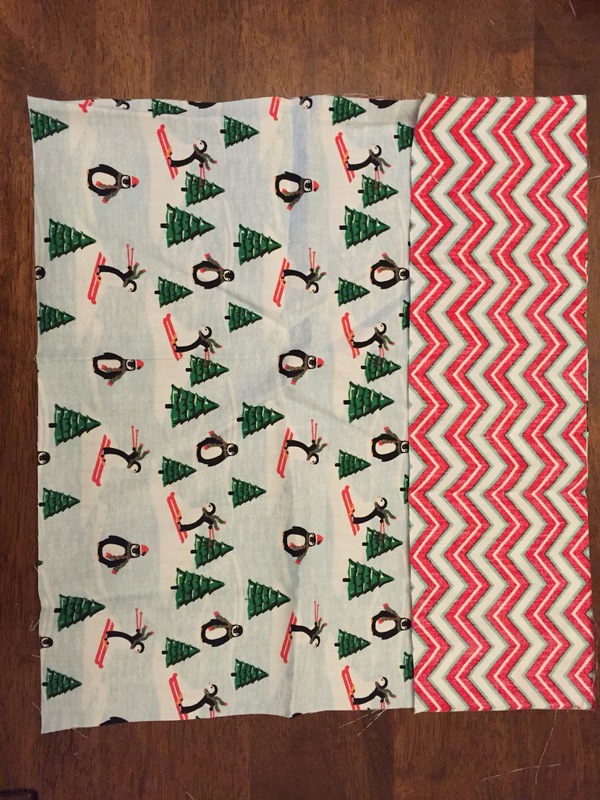 Cut a piece of penguin fabric 12 inches long by 11 1/2 inches wide. Next cut a piece of the red zigzag fabric, 12 inches long by 3 1/2 inches wide. 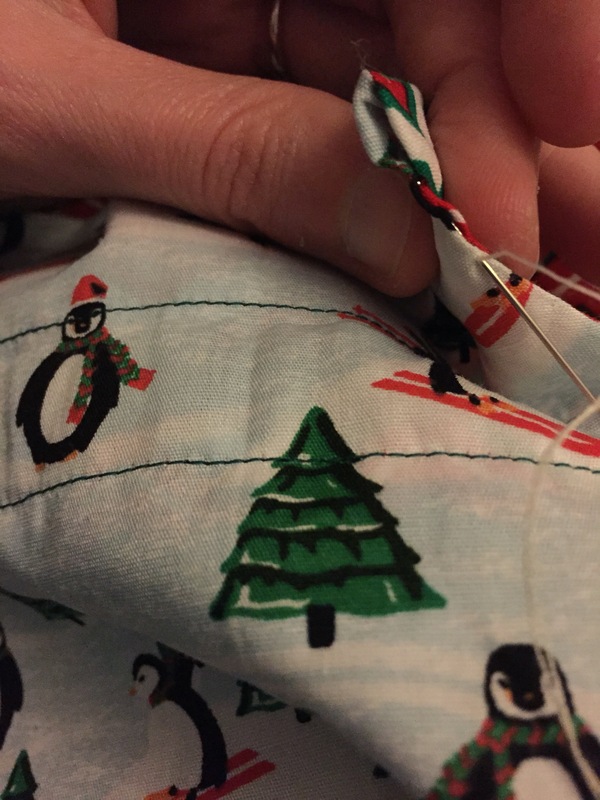 Place the zigzag piece right sides together at the top of the penguin fabric with the bottom edge of the zigzag fabric lined up with the top edge of the penguin fabric and sew along to join. 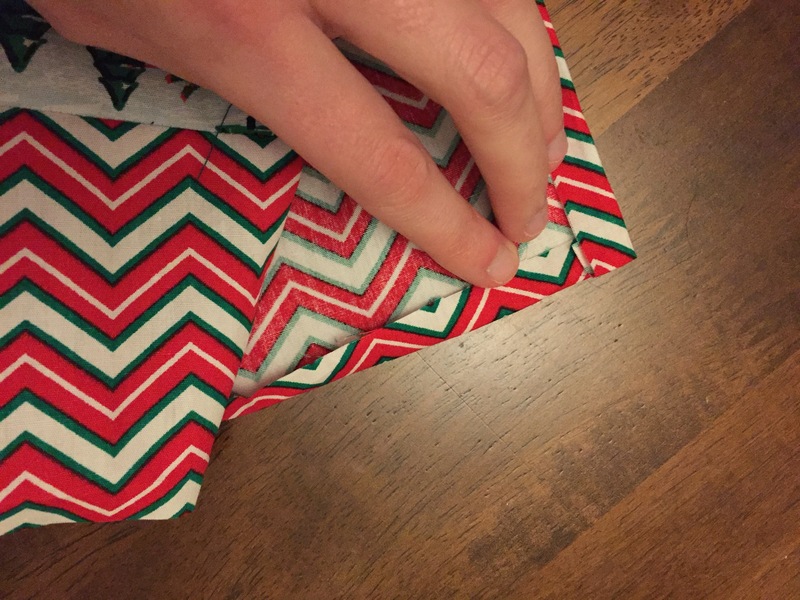 Fold the fabric in half with the red zigzag fabric along the top of the bag and place right sides together. Now starting 6 1/2 Inches from the top of the fabric sew down the side and along the bottom of the bag. Turn out the right way. 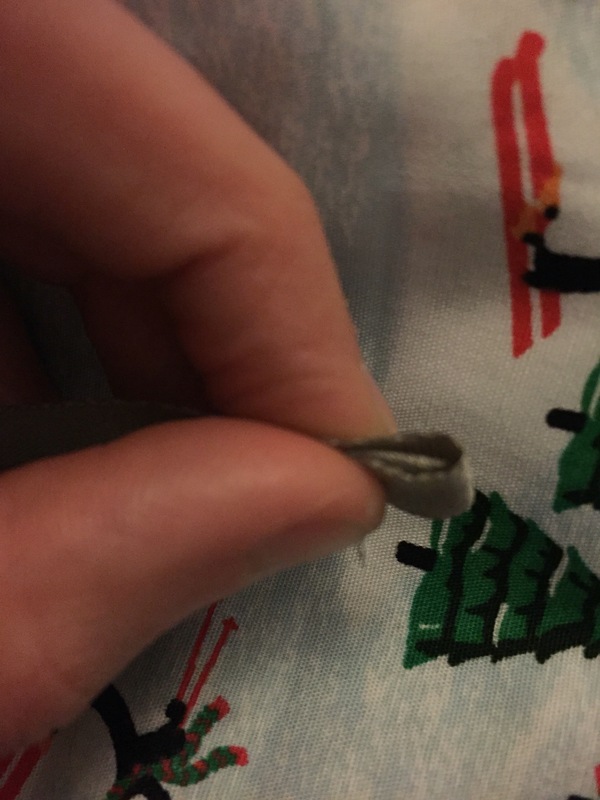 Fold over the top edge by 1cm, and then on both the front and back side seams, fold in the raw edges by 1 cm. 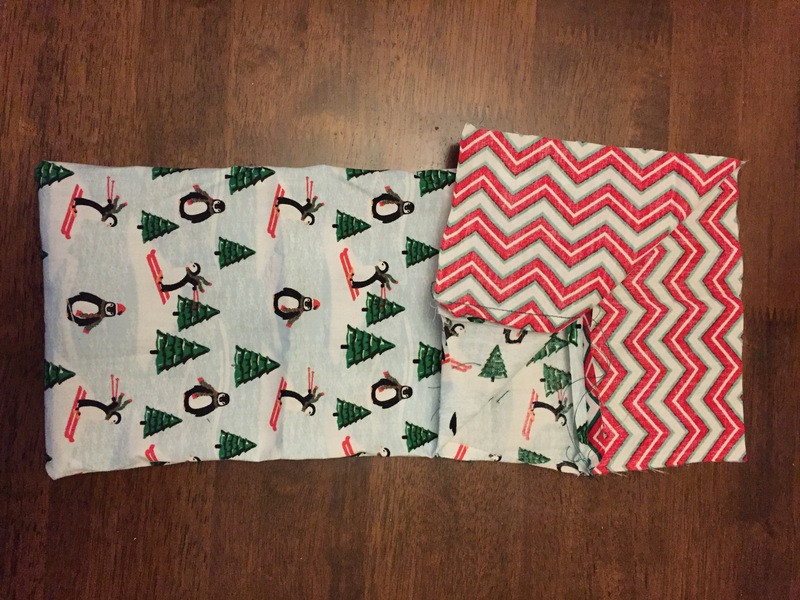 Next fold the zigzag fabric inwards so it lines up with where you started sewing the front and back together – now pin and sew along the bottom edge. Now sew another line 2cm up from the previous line. 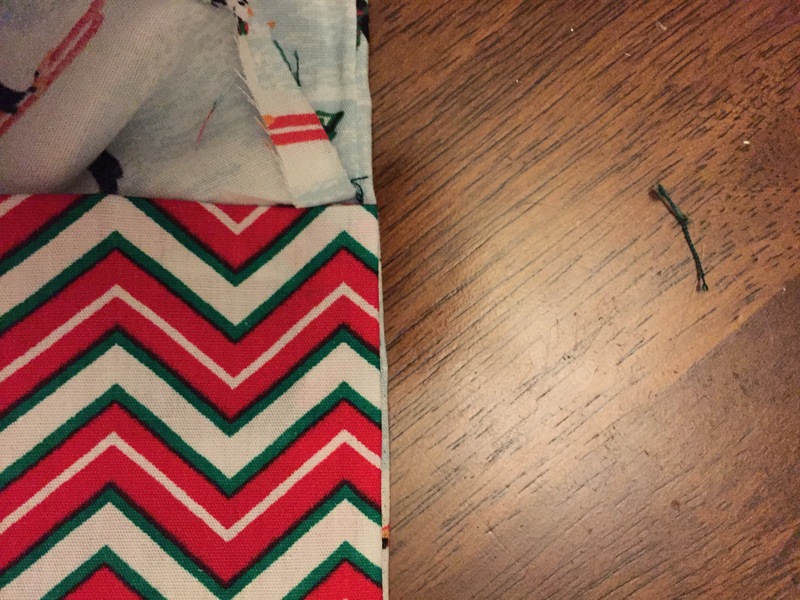 Thread through the ribbon for the drawstring, fold over the end of the ribbon a few times and sew to stop it fraying. Slipstitch closed the side seam above the drawstring section.